character must serve the novel and not the other way around. Self-indulgence has no place in good writing. The biggest influence on my desire to write in early years was when I read ‘Sons and Lovers’ for A level. That was a revelation and I realised for the first time what literature could be. Having said that, a few years earlier I was enormously impressed by Alan Garner’s ‘Elidor’ and indeed all his novels, and I would still recommend his work to anyone who hasn’t read it. His novels (particularly the earlier ones) are categorised as children’s or teenage literature, but stand in a class of their own as classics, irrespective of readership age. I can’t say that anyone I knew influenced me, though I was encouraged by one or two dear friends who knew of and understood my desire to write, and I remain eternally grateful for that. I think I am most influenced by the power of place and the psychic and spiritual connection that many people feel to it. I am also interested in trauma (including illness) and how emergence/recovery from it can deepen that connection and root a person in the course of their life. We live in such a disposable and superficial age that spiritual aspiration is often seen as something to be politely ignored, patronised or, worse, repressed. This, I think, is a terrible mistake and will have, in the end, to be addressed. My characters are often very young, striving to find something to believe in and with which to anchor themselves, usually struggling with a central trauma or dilemma. All this interests me, because although it is at its most extrovert in the young, I believe that the desire to identify what endures in life influences people into adulthood and even old age. Because of this drive toward continuance and timelessness, the past is always a strong presence in my work, often spilling over into the present, or threatening to do so. I enjoy recreating other periods – particularly the Victorian/Edwardian era to which I have always been drawn, and this features, or will feature, in at least two of my books. I am not drawn to powerful figures – politicians or monarchy, for instance – but to the lives and fates of ordinary people. These individuals often intrude on the present in my books, and the supernatural is a strong strand in all of them, particularly the novels. People with highly developed psychic perceptions have always fascinated me. Such abilities, and the idea that a psychic dimension exists in the human brain at all, are often (if not usually) dismissed nowadays. To me this is a nonsense. The psychic facility is a natural part of the human psyche and, if it is allowed to, can help and sustain us. I am working on a quintet of novels called the Glasswater Quintet. The books are linked by character and place but are not linear in sequence. They start and finish in roughly the present day but move backwards and then forwards again in between. I am currently working on the fourth book. I write short stories intermittently when taking a break from the novels. I don’t plan meticulously when I start a book. This, to me, seems mechanical and restrictive. I have a good idea of where I want to go, and can often envisage a strong and dramatic denouement. However, how I reach that point is usually a matter of exploration. Personally, I think writing should be a living, intuitive process for it to have any real immediacy and conviction. The best aspect of writing is the pride taken in a piece of work when the end is reached. The worst is the constant battle against the spectres of self-doubt and the fear of failure. I work in a small room decorated with lots of rich, oriental red. It contains my computer and accessories, a mini library, a single bed and, very often, a cat. I am able only to give a relatively short period of time a day to writing, and consequently my daily word count is small but consistent. It is astonishing how quickly a manuscript can build. I return constantly to a text, reworking particular sections, even particular paragraphs or sentences, sometimes to the brink of obsession. This can be both a good and a bad thing. Good in that a meticulous self-scrutiny is likely to make you a better writer; bad in that, unless you know where to draw the line, or at least to take time out, you can easily end up not seeing the wood for the trees and becoming exhausted. Thus far, I have had my work both proof read and copy-edited by two people. This I find very helpful, because each sees different things and has different suggestions to make. Being with a small publisher gives me considerable quality control and an input on most matters, including cover art. It would not suit me to have these things taken entirely out of my hands. 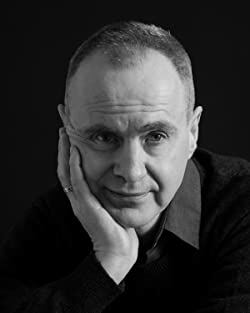 Favourite authors – aside from D H Lawrence and Alan Garner – are Beryl Bainbridge, Daphne du Maurier and Paul Scott (I believe Scott’s ‘Raj Quartet’ to be one of the great works of English literature, shamefully underrated). All these authors, it recently occurred to me, have something of the outsider about them and consequently had/have rather strained relations with the literary establishment. 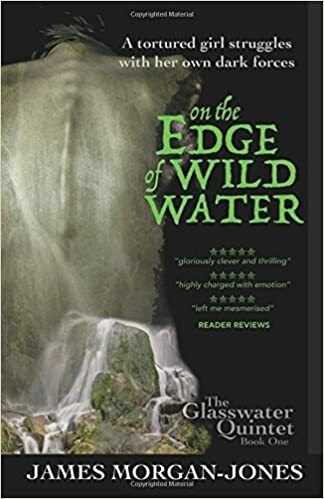 "On the Edge of Wild Water (The Glasswater Quintet Book 1)"
This is a gripping and evocative read with its roots firmly tethered in rural Wales. The strong storyline is peopled with vivid characters that weave between past and present in an atmosphere of brooding suspense. Teenage Bethan is taken to a remote Welsh cottage to help combat anorexia but history and long dead lives begin to seep through into the present. In this place, the past can’t let go. If you enjoy a good story tinged with the supernatural I’d highly recommend this book.